Weight Loss Diets have a 95% failure rate, why? Weight loss and dieting. It’s all around us. We aren’t happy with our weight or shape. Few of our friends seem to be happy with it either. It’s like there’s a constant low-speed drill boring through our minds: How are we going to lose weight? The answer most of us come up with is: GO ON A DIET! Unfortunately, studies show that 95% of diets fail. 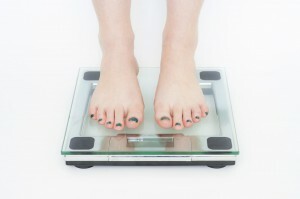 Many people lose some or most of their desired weight in the first few months of dieting. But in the year following their weight loss, they gain it all back again. Often an additional 20% of weight is added on. After several cycles of this diet/regain pattern, they end up progressively more demoralized and heavier than when they started. There is also evidence that yo-yo dieting can set the stage for binge eating. Dieters become progressively more desperate as they go through several of these weight loss and regain cycles. This often impels them to choose even more restrictive diets and “rebound” afterwards in unsavory, extreme ways. Why do people put so much time, energy, and money into a treatment that almost always fails? Because they don’t know what else to do. It’s not failure. It’s a lack of personal insight and helpful information. Few diets take into account the most important element of weight loss: How we think and feel about ourselves! Until these long-term psychological patterns change, it is unlikely we will be able to maintain our weight loss for more than a year. Many dieters “eat their feelings,” attempting to use food to solve emotional problems that instead need to be addressed in other ways. Counseling and self-help groups (such as Overeaters Anonymous) help participants look at the deeper causes underlying their weight gain, and thus reduce the yo-yo diet cycle. Worried about your weight? Starting today, create a Food Log for yourself. All it takes is a place to record what you eat: your phone or a small notepad will do. Keep track of what you eat, when, your hunger level (from 1 -10), and a one or two-word description of your emotional state (e.g. “Stressed,” or “Bored.”) It’s amazing how just recording what you’re eating can help you identify your trouble spots. It’s not just you! Practically no one succeeds at dieting over the long-term. Dieting can create binge eating. Instead of dieting, try a Food Log. In our next blog in this series we will look at four common ways that people eat their feelings.